Why do the weekends fly on by? I'm not ready for the work week yet! I didn't get my good running nap in or a long time with a book in my hand this weekend! Oh, well! Some weekends are busy I guess! I feel as though the dreadmill and I are making peace with one another. On Saturday, I finally was able to make it through FIVE miles. I can never run past three! And oh yah, my knee restrictions were finally lifted! Boom! 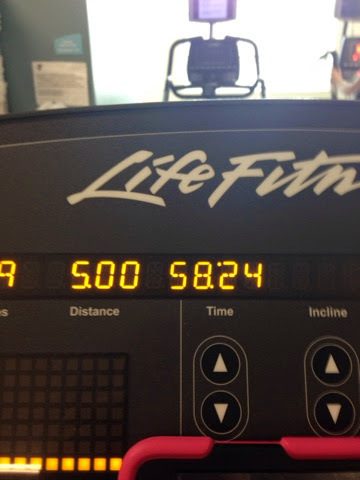 5 miles! Slowly, my pace is improving as I continue to train on the dreadmill. Dare I say, I might actual enjoy running on the hamster wheel. 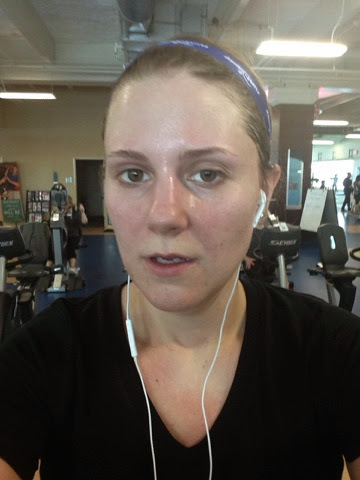 However, I am not a fan of the sweaty and muggy gym, which is why I can't wait for the weather to improve! I wanna start getting my long runs outside, but I know that will come with time. 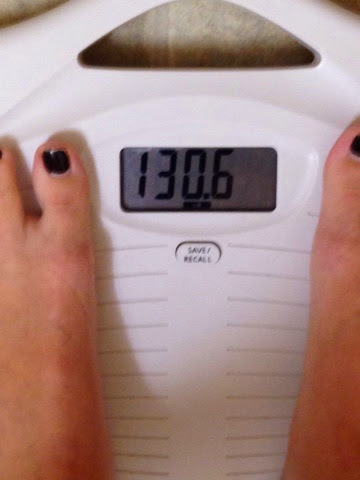 Another huge improvement is my weightloss, which I hope to maintain. For a while the numbers were creeping up during the holidays, but with careful food control and small portions, I have managed to lose weight! For that, I am pleased! I am also noticing a huge change in my clothes. My shirts continue to be baggy. 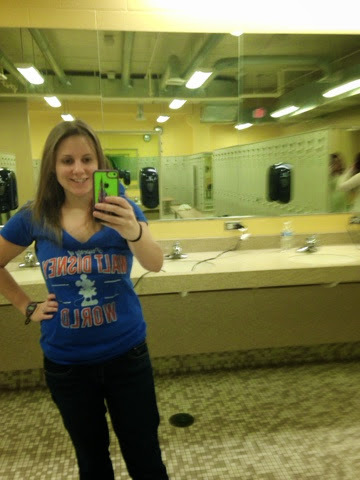 This past summer when we went to Disney I bought this shirt, which I love and now it's too big!! I'm super excited with the progress I've made and can't wait to watch my body change, become more stronger and gain endurance. Q: What accomplishments are you proud of this year?